I have a soft spot for all sorts of mint, green and turquoise nail polishes and I am always on a hunt for the perfect one. The Bourjois 1 Seconde Nail Polish in 27 Green Fizz (here) ticks all the boxes and I am in love. The almost-neon, yet milky mint green shade is so unique and beautiful and I always get tons of compliments when I wear it. It reminds me of Essie First Timer but it is a bit lighter and definitely brighter. Green Fizz is quirky and I know that it’s not in everyone’s taste but I personally cannot stop wearing it on my tips. It is the perfect summer companion as it is super fun and colorful and makes my hands look super tan, which is always great. I’ve said it before and I will say it again – the formula of the Bourjois 1 Seconde Nail Polishes is d’bomb. They are absolutely the best varnishes on the market formula wise. I only need one coat of Green Fizz to get a full-blown, even color – simply amazing isn’t it! Also, the polish dries in literally seconds, which is a dream come true for all us not-so-patient gals. All varnishes from the range have silicone-gel texture and have gorgeous hi-gloss finish. Green Fizz stays on and doesn’t budge for some good six days. If you are not impressed yet – hear this: The brush of the polish is the perfect size. It is wide and fat and it covers the entire nail in one swipe preventing from streaks or bald patches. So so brilliant and it is from the drugstore too! Yay! 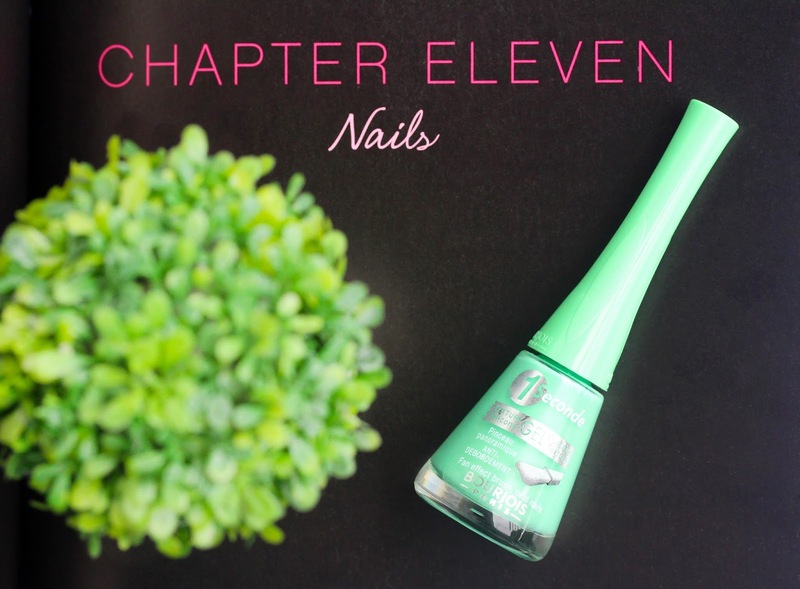 Have you tried the Bourjois 1 Seconde Nail Polish in 27 Green Fizz? Isn’t it just stunning? I can't even handle how perfect this colour is! I've never tried it, but I definitely will! I have a soft spot for mint, green, and turquoise nail polishes as well. Wow what a gorgeous colour! I need to get my hands on this! The most perfect colour ever!! I actually have this shade and I'm featuring in a post on my blog soon! I love it! Oh wow, this is such a gorgeous colour! AHHH this color is amazing! it's like a neon minttt!! !